Well as I write this, the snow is falling steadily outside my window. Despite the fact that it has barely gone 7:00 a.m. on a Saturday morning, the snow plow has already finished his job outside my window. So, why am I up so early? Well today I have friends coming over for brunch with their kids. I’m supposed to be making pancakes, something that is pretty special for them. I also made some Bircher Müesli which is something more traditional to have for brunch, in this neck of the woods. However, I didn’t use a traditional recipe or anything just adjusted one off of Pinterest. I think Bircher Müesli is a personal kind of thing anyway. Really wished I had gone the more traditional route though, but I’m into trying new things these days. I’m a little worried that the cinnamon in it is a bit too….. exotic, but we’ll see. The other reason why I am up so early is, of course to get in some quilting time before they come. 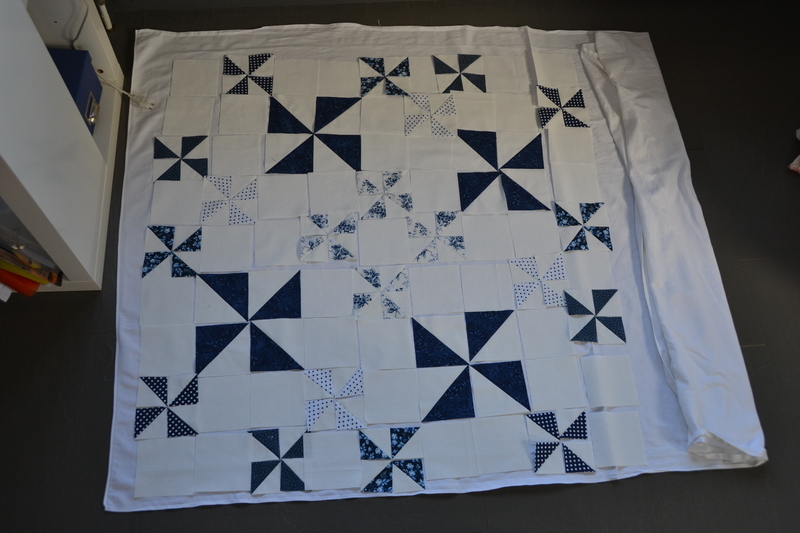 I’m on my second quilt and it is lying on my floor right now, waiting to sew my half-square triangles together to complete my little pinwheels. Unfortunately, I can’t show you any of this because I am having major problems with downloading photos. So, hopefully I can get that problem sorted out, before anybody has a chance to read this. I’m so excited. Yesterday, I was finally able to go into town to pick up my new quilting book, which I ordered from my local bookstore. So before I get to the chain piecing part I’m planning to get reading. It’s volume 1 of Quilter’s Academy by Harriet and Carrie Hargrave. It looks really promising. Anyway time for me to get to work!! 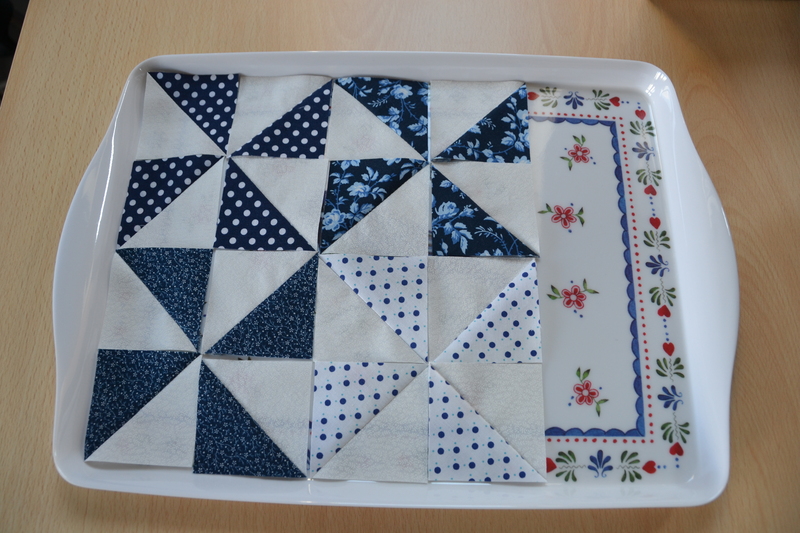 Half-square triangles ready to piece.